“Jessie Frye has become something of a local institution since the release of her debut EP, The Delve, back in 2009. On the strength and reputation of that first collection of songs, she was invited to perform at SXSW that same year and began a round of extended touring with some local musicians whom she knew and had brought together to form a permanent band……. Jessie Frye: It definitely varies. A melody will pop into my head randomly, or I will thump out a cool chord progression on the piano. Then it just goes from there. It’s kind of like connecting the dots. OSW: What makes ‘Obsidian’ different than your last release? Jessie Frye: ‘Obsidian’ is our first full-length album. I am playing with a completely new set of musicians, too. 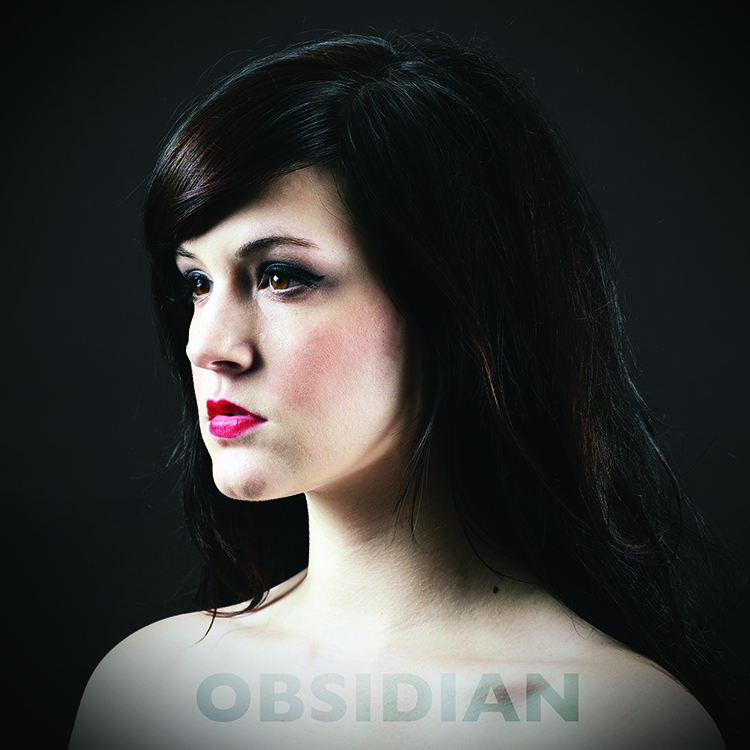 I am proud of Obsidian because I challenged myself as a vocalist while writing these songs. I love writing dark pop music and I feel that this is the first time I feel fully confident. Jessie Frye: I am a lyric snob, I have to admit. So sometimes I spend more time on the lyrics than the actual song. It depends on the song, really. Some songs have placeholder words until I hunt the right ones down. Some lyrics just pop out and feel right from the start. I have a lot of journals that I can go back into and pick out lyrics from, so that is a good source of material for me. OSW: Where does your inspiration for songs come from? Jessie Frye: From a lot of literature that I read. I also am very inspired by scenes in movies that I am moved by and dreams that I have. I love writing really abstract lyrics about situations or emotions. People would never know the meaning of some of my lyrics unless I sat down and picked it apart from them. That is fun for me. Jessie Frye: Practice a lot. Don’t spread yourself too thin. Focus on a skill that you want to be really good at and then venture into other areas. Stay determined. No one can make it happen but you. Jessie Frye: Robert Smith from The Cure. Coolest guy ever. This entry was posted in Interviews and tagged Denton, Jessie Frye, Lyrics, Music, Obsidian, Robert Smith, Songwriter, Songwriting Interview, The Cure. Bookmark the permalink. Jessie! I miss you!! Puts on a SUPER live show!